ANN ARBOR, Mich. — The 110th game between Ohio State and Michigan might have been the most thrilling, a back-and-forth affair that came down to one final play. The Wolverines went for the win… and well, they came up short. 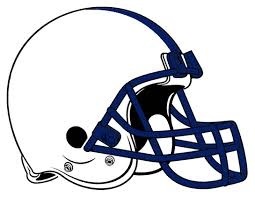 Tyvis Powell intercepted Devin Gardner’s 2-point conversion pass with 32 seconds left and No. 3 Ohio State held on for a 42-41 victory against Michigan on Saturday as one of the greatest rivalries in sports added another memorable chapter to its storied history. “That’s an instant classic,” Ohio State coach Urban Meyer said. 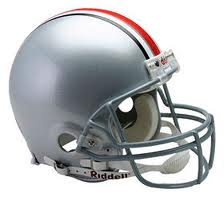 With this win and an Alabama lost, the Buckeyes’ may be playing in this years BCS. Here is our 2013-14 Bowl Predictions, CLICK HERE. CHAMPAIGN, Ill. — Northwestern quarterback Trevor Siemian threw for 414 yards and four touchdowns (31-44, 0 INT) and Christian Jones caught 13 balls for 182 yards and two touchdowns to lead the Wildcats past Illinois 37-34 Saturday in the finale for both teams. The Wildcats gashed an Illinois defense that has given up big yards and points all season. Northwestern’s 560 total yards made it the fifth team to top 500 yards against Illinois (4-8, 1-7). Illinois quarterback Nathan Scheelhaase was 31-45 for 307 yards and two touchdowns in his last game at Illinois. Scheelhaase threw one interception in the game, but it was a game-changer. Down 30-27 with just over eight minutes to play in the game, Illinois was driving. On a first-and-10 at his own 45, Scheelhaase rolled right under pressure and, just before he stepped out of bounds, forced a ball down the sideline. The only player close to it was Northwestern defensive end Tyler Scott, who juggled the ball but held it with both hands as he went out of bounds. The play was upheld on review, a decision the sparse crowd howled loudly about and coach Tim Beckman argued over with the officials. The Wildcats made quick work of Illinois’ defense, driving to the 7-yard line where Siemian found Jones in the end zone for the touchdown that put the Wildcats up by 10, 37-27, with 8:07 left to play. Illinois pulled back to within three when Scheelhaase hit Miles Osei for an 11-yard touchdown with 2:23 left in the game. But Northwestern’s Cameron Dickerson came up with the onside kick and the Wildcats ran out the clock. The win, the Wildcats ended a seven-game losing streak for Northwestern (5-7, 1-7 Big Ten). NOTE: Scheelhaase, a four-year starter, finished his career at Illinois with 10,634 total yards, No. 1 on the team’s all-time list. His 362 yards Saturday broke Juice Williams’ old record. CHAMPAIGN, Ill. — The Buckeyes came, they saw, and they conquered the Fighting Illini Saturday afternoon 60-35, and continue their undefeated season (10-0, 6-0 Big Ten). Between Carlos Hyde and Braxton Miller were just too much. Hyde finished the day with 248 yards rushing and four touchdowns on the ground and another through the air. Quarterback Braxton Miller wasn’t far behind with 184 yards rushing and two more touchdowns. Illinois didn’t give up – after trailing 28-0 in the second quarter, they closed to 35-21 in the third on two Nathan Scheelhaase touchdown passes. Scheelhaase led the Illini with 288 yards passing and two touchdowns. But the Buckeyes defense kept him under pressure all day, sacking him five times and hitting him more than that. The loss extends the Big Ten losing streak for Illinois (3-7, 0-6) to 20 games. Braxton Miller became the fourth FBS quarterback this season to run for a touchdown of 70 yards or more, joining Kentucky’s Jalen Whitlow, Mississippi State’s Dak Prescott, and Oregon’s Marcus Mariota. EVANSTON, Ill. — Talk about precision at the end of the regulation. 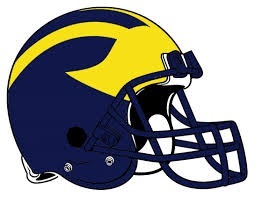 Visiting Wolverines’ special teams sprinted onto the field as the final seconds ticked away, and with one swift kick from 44-yards, Brendan Gibbons, nailed a kick that sent the game into overtime. This kick also saved Michigan from another loss and helped send the Wolverines to one thrilling victory. In overtime, on their first possession, it was Devin Gardner scored on a 5-yard run to lift Michigan to a 27-19 triple-overtime win over Northwestern on Saturday. Gardner scored on an option and ran it in on the two-point conversion to make it an eight-point game. Northwestern had one more chance, but Trevor Siemian got sacked for a 14-yard loss by Jibreel Black on second down. Then, his desperation pass on fourth down got intercepted by Thomas Gordan in the end zone, giving the Wolverines (7-3, 3-3 Big Ten) their second win in five games and sending the Wildcats (4-6, 0-6) to their sixth straight loss. None of that would have happened had Gibbons not converted in a chaotic finish at the end of regulation. An offensive game at its best but in the end it was the Hooisers on top of the Illini 52-35. Indiana’s Tevin Coleman rushed 15 times for a career-high 215 yards, the most by a Hoosier in the last 10 seasons. The teams engaged in a back-and-forth shootout until Coleman’s 75-yard touchdown run edged Indiana ahead 42-35 with 12:41 remaining. Indiana burned the Illini’s run defense for 371 yards and gained a season-high 650 yards overall. Illini’s Nathan Scheelhaase completed 38 of 57 passes for 450 yards and two touchdowns to lead Illinois. He added 45 yards and a score on the ground. Receiver Steve Hull exploded for 224 yards and two touchdowns on nine receptions. With this win, the Hoosiers (4-5, 2-3 Big Ten) snapped a three-game skid, while Illinois (3-6, 0-5) extended its school-record conference losing streak to 19 games. Indiana suffered some tough injuries including Coleman, who was helped off the field midway through the fourth quarter. Up next for them is a trip to tough Wisconsin. Illini host top-ranked Ohio State next Saturday. 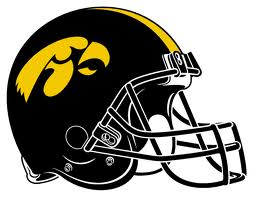 Jordan Canzeri ran for a career-high 165 yards on 20 carries to help the Iowa Hawkeyes defeat the Purdue Boilermakers 38-14 on Saturday afternoon. Canzeri, a sophomore who entered the game with 173 yards rushing all season, also scored a touchdown to help the Hawkeyes become bowl eligible. Jake Rudock passed for 191 yards and two touchdowns for Iowa (6-4, 3-3 Big Ten), which set season highs for total yards (509) and yards rushing (318). Danny Etling completed 15 of 28 passes for 145 yards for Purdue (1-8, 0-5), which has lost seven straight and has not beaten a Football Bowl Subdivision team this year. The Boilermakers have scored 31 points in five Big Ten games, with two of the touchdowns coming in the final minute of play. Tommy Armstrong Jr. threw a left-handed, 5-yard shovel pass to Ameer Abdullah for a go-ahead touchdown with 2:03 left and Nebraska’s defense made enough stops to seal a 17-13 win over Michigan on Saturday. 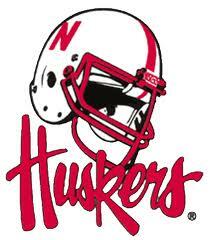 The Cornhuskers (7-2, 4-1 Big Ten) kept their chances alive of returning to the conference championship game. Nebraska can move a big step closer to its goal by beating Legends Division-leading Michigan State next Saturday at home. The Wolverines (6-3, 2-3) dashed hopes of earning a Big Ten title for the first time since 2004 with their first loss in 20 home games under coach Brady Hoke, turning the ball over on downs during their last possession. The Fighting Illini fought back against Penn State and forced overtime, but came up short, when Christian Hackenberg hit Kyle Carter with a 15-yard touchdown pass in overtime and Ryan Keiser sealed the win with an end zone interception, lifting Penn State over Illinois 24-17 on Saturday. The Badgers scored on both sides of the ball including a pair of second-half interceptions into touchdowns that turned a close game into an easy win over the Hawkeyes. James White ran for 132 yards and a pair of late TDs as 24th-ranked Wisconsin beat Iowa 28-9 on Saturday for its third straight win. Joel Stave added two touchdown passes for the Badgers (6-2, 4-1 Big Ten), who are bowl eligible for the 12th year in a row. Spartans battered their biggest rivals for the full 60 minutes Saturday, and No. 22 Michigan State remained unbeaten in the Big Ten with a 29-6 victory over the No. 21 Wolverines. Michigan was sacked seven times and finished with minus-48 yards rushing, the worst output in the Ann Arbor program’s lengthy history. This after the Wolverines had vowed Saturday wouldn’t be a repeat of the game in East Lansing in 2011, when Michigan State’s physicality was too much for Michigan. Michigan State (8-1, 5-0 Big Ten) has won five of the last six meetings with the Wolverines (6-2, 2-2), and this was the Spartans’ most lopsided win in the series since 1967. The Cornhuskers looked like they were finished after Northwestern took a three-point lead with 1:20 left. They started their final drive at their 17 with no timeouts. Ameer Abdullah caught a short pass and stretched to convert a fourth-and-15. Then, with four seconds on the clock, Ron Kellogg III connected with Jordan Westerkamp on a Hail Mary 49-yard touchdown pass as time expired to lead Nebraska past Northwestern 27-24. Nebraska’s winning play was perhaps its most dramatic since Matt Davison’s “Flea Kicker” catch that kept alive the Huskers’ national-championship season in 1997. The Spartans were dominate on both sides of the ball against the Fighting Illini, and easily defeated them 42-3. QB Connor Cook threw for three touchdowns and finished the game 15-of-16 for 208 yards, setting a Michigan State (7-1, 4-0 Big Ten) record for passing efficiency just a week after he was grilled for failing to move the ball against Purdue. Tailback Jeremy Langford had 104 yards on 22 carries and two touchdowns for the Spartans. The Michigan State defense came into the game ranked first in the nation in total defense at 228 yards a game, and looked even better Saturday, holding Illinois to just 128. That included 25 yards on the ground. Illinois had been scoring 35.3 points a game, but not today. The Illini only scored a field goal, which came on the game’s opening drive, a 12-play, 53-yarder, that pumped a little optimism into a homecoming day crowd. Illinois’ Big Ten losing streak reached 17 games, with a road trip to Penn State on the schedule next Saturday. 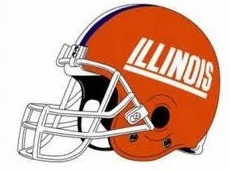 The last Illini win the in the conference came more than two years ago, 41-20 over Indiana on Oct. 8, 2011. The Hawkeyes (5-3, 2-2 Big Ten) almost gave this one away after taking an nearly lead against Northwestern, but they were able to hold on for the 17-10 win. The Hawkeye defense sealed the victory by sacking Kain Colter on the final play of the game. Jake Rudock completed 19-of-27 passes for 169 yards — none bigger than the third-down pass to Fiedorowicz in overtime. Rudock rolled to his right and lofted a pass to his big tight end in the left corner of the end zone. This snaps Iowa two-game losing skid. The irony of it all was Hawkeyes led at halftime in each of their three losses. On the other hand, Northwestern (4-4, 0-4) dropped its fourth straight game. EVANSTON — Minnesota (5-2, 1-2) snapped a two-game losing streak as James Manuel broke a 7-7 tie with a 24-yard third quarter interception return and Chris Hawthorne turned another Wildcat turnover into a 34-yard field goal in the fourth. Host Northwestern (4-3, 0-3) dropped its third straight. Ailing head coach Jerry Kill, on indefinite leave after a series of epileptic seizures, watched from the coaches box as Manuel picked off Wildcat quarterback Trevor Siemian with 1:22 for a go-ahead score. The Gophers made it 17-7 just 87 seconds later on Hawthorne’s field goal after recovering a Wildcat fumble. NOTE: Tracy Claeys has served as head coach. Hawthorne’s 38-yard field goal with 5:24 remaining made it 20-10. Northwestern cut the deficit to 20-17 on a 10-yard touchdown strike from Siemian to Tony Jones with 2:07 remaining. Gopher quarterback Philip Nelson was 8-of-11 for 112 yards, including a touchdown strike to Derrick Engel. Running back David Cobb rushed 20 times for 103 yards. Minnesota’s defense shut down a promising Northwestern drive deep into Gopher territory early in the final frame. The Wildcats settled for a 35-yard Jeff Budzien field goal that cut the Gopher lead to 17-10 with 11:09 left in regulation. After Hawthorne’s second field goal, Northwestern converted on three fourth downs in a 75-yard scoring drive that culminated in Jones’ 10-yard TD reception. An important note for the ‘Cats was two key Northwestern players were sidelined with reported ankle injuries: tailback Venric Mark and quarterback Kain Colter, who was dressed but only available in an emergency role. 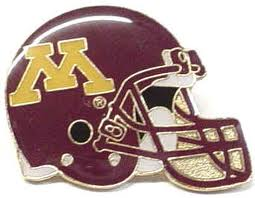 Minnesota hosts Nebraska next Saturday while Northwestern travels to Iowa. CHAMPAIGN — Melvin Gordon carried the mail on Saturday afternoon for the Badgers as he rushed for 142 yards and three touchdowns to lead the ranked Wisconsin (5-2, 3-1 Big Ten) to a 56-32 rout of Illinois. Second running back James White backed him up with another 98 yards in 20 carries and two touchdowns. Wisconsin lost defensive leader Chris Borland to injury early on Saturday and even with an early three-touchdown lead struggled to put Illinois away. Borland, the team’s leading tackler, said he hurt his right hamstring covering a punt in the first quarter. He never returned, watching much of the second half in street clothes. Borland’s absence didn’t improve Illinois’ ability to run. The Badgers entered the game as the 10th-best run defense in the country, giving up 90.1 yards a game. Josh Ferguson led Illinois with just 25 yards on seven carries. Borland’s backup, Marcus Trotter, made the most of his shot with a team-high nine tackles. Illinois coach Tim Beckman said defense was a problem for the Illini (3-3, 0-2) , but so was a running game that managed just 72 yards on 29 carries against one of the top run defenses in the country. Illinois’ offense revolved around quarterback Nathan Scheelhaase, who had 249 yards passing. Steve Hull caught six passes for 105 yards. EAST LANSING, Mich. — Denicos Allen returned a fumble 45 yards for a touchdown, and Michigan State’s offense finally added an insurance score in the fourth quarter of a 14-0 win over Purdue on Saturday. The Spartans didn’t make it past the Purdue 32-yard line until the fourth, when receiver Tony Lippett threw a 5-yard touchdown pass to Andrew Gleichert on a trick play. Michigan State (6-1, 3-0 Big Ten Conference) remains atop the Legends Division but clearly has work to do with the toughest part of its schedule still to come. Purdue (1-6, 0-3) kept it close after being routed by Wisconsin and Nebraska in its first two conference games, but Paul Griggs missed two field goals. The Spartans entered with the nation’s top-ranked defense, and Allen opened the scoring in the second quarter with Michigan State’s fifth defensive touchdown of the season. Max Bullough hit quarterback Danny Etling, the ball popped free, and Allen was able to scoop it up and score easily. Purdue converted a fourth down thanks to a penalty, which gave the Boilermakers the ball at the Michigan State 34 with 9 seconds left in the second quarter. That was as far into opposing territory as either team advanced the ball in the first half, but Griggs was short on a 51-yard field goal attempt. Griggs also came up short from 41 yards in the third quarter, and Michigan State scored again in the fourth. Connor Cook completed a pass to Macgarrett Kings for 25 yards on third-and-12, and a 26-yard catch-and-run by Josiah Price put the ball at the Purdue 7. Two plays later, Lippett took the ball on what looked like an end-around, but he threw to an open Gleichert for a touchdown. Cook went 13 of 25 for 107 yards, although at one point he had only 17 yards on eight completions. Etling was 14 of 25 for 160 yards, but he also threw a crucial interception in the end zone in the first quarter, after Purdue had reached the Michigan State 37 with a fourth-down conversion. Jeremy Langford had 131 yards on 24 carries for Michigan State. While the Spartans were sputtering offensively, punter Mike Sadler gave them a lift, landing three punts inside the 10-yard line. The Cornhuskers has their way against the homecoming host Purdue Boilermakers, as they defeat them with ease 44-7 on Saturday. Nebraska’s Ameer Abdullah ran for 126 yards and a touchdown. Terrell Newby ran for 61 yards and Imani Cross added 56 yards and two touchdowns for the Cornhuskers (5-1, 2-0 Big Ten). This victory came with QB Taylor Martinez on the bench who has a turf toe injury. So, Tommy Armstrong Jr. started and completed just 6 of 18 passes for 43 yards with three interceptions. Ron Kellogg III stepped in and completed 10 of 13 passes for 141 yards and a touchdown. On the other side of the ball, Nebraska held Purdue to 216 yards, and the Boilermakers didn’t score until the final minute of the game. 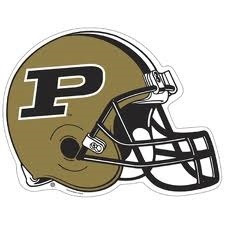 Purdue ran for just 32 yards on 25 carries. The Badgers defense did all its talking on the field defeating the Cats 35-6. 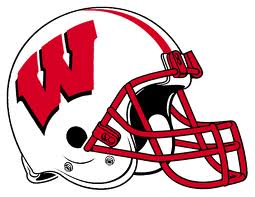 For most of the day, the Badgers pushed around an opponent that had been averaging 39 points and 474 yards a game. Players in red jerseys were flying around all over the field, especially in Northwestern’s backfield. The Badgers (4-2, 2-1 Big Ten) chased down quarterbacks Kain Colter and Trever Siemian. Jared Abbrederis burned the secondary for a 63-yard touchdown reception in the first quarter before leaving with a head injury. Gordon finished with 22 carries for 172 yards. And, as usual, the heady Chris Borland was in the middle of what seemed like every play. That energy from the pregame speech seemed to carry over to both sides of the ball, building up as a slow start and defensive struggle turned into a decided blowout on homecoming weekend. 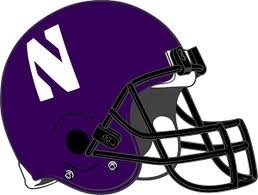 Northwestern (4-2, 0-2) the league’s peskiest defense, grabbed three more turnovers to increase its season total to 17. The Wildcats just couldn’t turn those mistakes into enough points. Clobbered by the pass rush. Shut down in the running game — just 44 yards on 25 carries, the lowest total since getting zero yards in a loss to Ohio State in 2007. It took overtime in Happy Valley for Penn to snag a 43-40 victory over visiting Michigan. On fourth-and-1 and with an upset on the line, Belton leaped ahead for 3 yards. Three plays later, he was in the end zone, and Penn State’s party was on. Bill O’Brien celebrates arguably his biggest win as coach of Penn State with fans Saturday night. The Nittany Lions (4-2, 1-1 Big Ten) stormed the field in wild celebration, sending more than 100,000 fans into a frenzy. The Buckeyes’ remain undefeated (6-0, 2-0) as they knock off the ‘Cats 40-30. Carlos Hyde, who was suspended for the first three games after an alleged conflict with a female in a bar this summer, ran for a career-high 168 yards and three touchdowns, and Ohio State rallied to beat No. 16 Northwestern 40-30 Saturday and extend the nation’s longest win streak to 18 games. “I go out every game with the mindset that I have to make up for those three games,” Hyde said. Northwestern was leading 23-20 early in the fourth when Doran Grant stepped in front of Lawrence to pick off a pass by Siemian at the 23. He returned it 7 yards to the Northwestern 16, and on third-and-goal at the 2, Hyde reached across the goal line and was credited with the touchdown after a replay review. That delighted the Buckeyes fans, but the Northwestern crowd had plenty to cheer moments later. Siemian connected with Lawrence on a 67-yard slant to the 7. Then, with the ball at the 12, a scrambling Siemian found Dickerson in the end zone on third down. Just like that, the Wildcats were back on top, 30-27, but in the end, it was Ohio State’s night. Northwestern hasn’t beaten a Top-five team since it opened the 1959 season with wins over No. 2 Oklahoma and No. 5 Iowa. 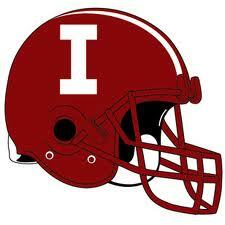 The Hoosiers’ (3-2, 1-0) are FORREAL as they defeat Nittany Lions (3-2, 0-1) 44-24 in Bloomington. Nate Sudfeld threw two touchdown passes and Tre Roberson ran for two more scores. Cornhuskers proved to have too many weapons for the Fighting Illini Saturday as they dominated in the win 39-19 in Lincoln. Ameer Abdullah ran for a career-high 225 yards and two touchdowns and Nebraska’s maligned defense was much improved in a 39-19 victory over Illinois on Saturday. Tommy Armstrong, starting his second straight game in place of injured quarterback Taylor Martinez, led the Cornhuskers (4-1, 1-0 Big Ten) to touchdowns on his first three series and was solid throughout. Armstrong was 8 of 13 for 135 yards. Illinois (3-2, 0-1), which came in averaging 40 points a game, didn’t score its first touchdown until the middle of the third quarter. Twice when the Illini looked as if they would make a game of it, the Huskers made big stops. Josh Ferguson led the Illini with 114 yards on 19 carries and another 82 yards on eight catches.